Memberium features a bulk editor to make it easy to assign permissions to your pages and posts en masse. 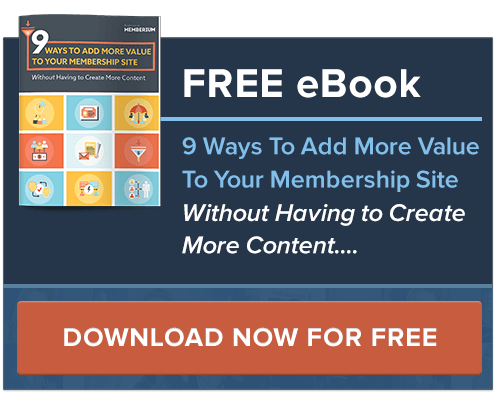 This is especially useful when migrating from another membership system. 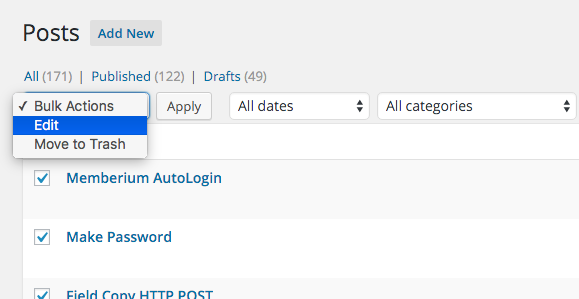 In order to use the Bulk Editor, go to the Pages or Posts list screen. 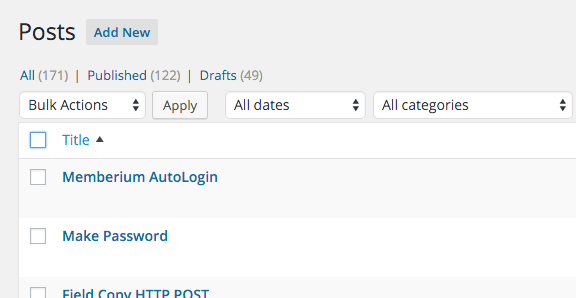 On this screen you can use the filtering and sorting to find the posts you’re interested in, and edit them. Use the checkboxes on the left to select which items you want to bulk edit. If you want to bulk edit all of them, then click the box on the very top, or the very bottom. 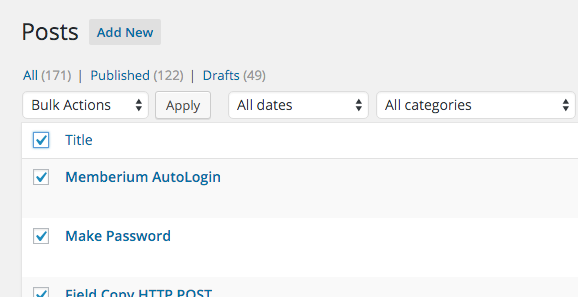 WordPress will open up an editor for you to make your changes. Click “Update” when you’re done to update all of the selected posts.